Should it be legal nationwide? Americans spend billions of dollars a year betting on sports, the vast majority of it illegally through offshore websites, local bookies and office pools. Some states are considering legalizing sports gambling in order to regulate and tax it. But an appellate court in August blocked a 2014 New Jersey law to legalize sports betting, saying it violated a 1992 federal ban on such gambling in states where it was not already legal. 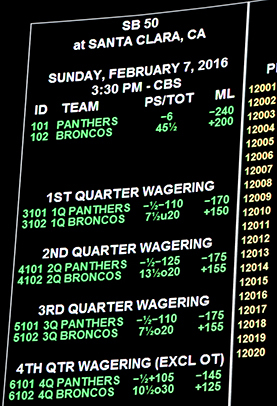 New Jersey's experience is at the heart of a growing debate over whether other states should be allowed to legalize sports betting. Proponents say doing so would produce additional tax revenues, discourage organized crime, protect gamblers from fraud and decrease match-fixing. But opponents challenge each of those arguments and also say legalized sports betting could increase gambling addiction. Meanwhile, professional sports leagues are investing in daily fantasy sports, which some states have legalized as games of skill and others have defined as an illegal form of betting.